Note: We are Providing Coaching for those Students Who are Pursuing their Studies through Patrachar / CBSE - Open / CBSE Private. | Patrachar School has not authorised any outside individual, agency or any organization to work on its behalf in any manner. Students should contact on the addresses and phone number mentioned on this website for any guidance / help / Coaching Classes. Patrachar Vidyalaya provides opportunities for those students who left out their study due to any reason, who got failed in 10th or 11th or students who don’t have proper guidance & support so that they can complete their study without wasting year. Patrachar Specially helps Girl Child and Economically weaker section to complete their study at very less cost. Students can complete their study without going to school through CBSE Patrachar School or CBSE Private/Correspondence with complete guidance & support from us. Through Patrachar students can get the same CBSE Certificate which is provided by the normal schools of CBSE. This Website helps students to seek any kind of information related to Admission forms, Eligibility Criteria, Classes timings, CBSE Approved Certifications, Last Dates of Submission of Patrachar Vidyalaya, CBSE Open School, CBSE Correspondence and CBSE Private. We provide Regular Classes as well as Weekend Classes for Patrachar Students, CBSE Open School, CBSE Correspondence & CBSE Private candidates. Those students Who have droped out or could not quality in secondary or sr. sec school can join patrachar school for saving their precious years. It is a revolutionary step of Patrachar school which can shape the career of thousands of students. It has opened new vistas of education for fail students / dropouts / students / having gap in their studies. Failures / dropouts male and female students. Students who are not able to pay. Heavy amount of fees in public schools. All the three Streams Humanities (Arts), Commerce and Science are available. We provide direct admission in 10th Class through CBSE Patrachar for those students for who got failed in Class 9th or due to any reason they couldn’t complete their study. Patrachar is an open school of learning which provides direct admission in class 12th CBSE patrachar. Education council is offering 10th CBSE private facility for the students who are unable to attend the regular classes. Patrachar provides the classes for 12th CBSE private. Patrachar vidhalaya provides the education to the students who are willing to complete their studies but due to certain circumstances they are unable to do so. 10th CBSE correspondence new is available through the patrachar vidhalaya. Students who failed in class 9th also can apply for the class 10th without wasting their one year. Central board of secondary education (CBSE) provides an excellent chance to the students of class 12thCBSE Correspondence. Patrachar Vidyalaya / School Is A Pioneer Name Amongst STUDENTS STUDYING THROUGH PATRACHAR OR PRIVATELY IN CBSE. Patrachar Vidyalaya School was established in 1999 for those students who drop out from schools due any reason. Patrachar School works for girls candidate who are economically weak,and those who are drop out form school due to any reasons. Its main objective is to help and guide those students who do not get proper guidance from any other source Patrachar School teaches students in HINDI, ENGLISH and PUNJABI medium. It is providing morning and evening batches. There is facility of weekend batches for those students who are financially poor and cannot fulfill their own need without jobs. Students can also collect any type of information regarding procedure of form filling, examination form, assignment information, eligibility, other important dates for filling forms, Regular/Weekend classes. Patrachar School provides every students correct and important information at regular interval of time. Patrachar school arranges parents meeting, daily attendance, proper school uniform, sports activities, half yearly exams etc for students. There are special batches for girls students, personality development classes and computer education. Regular classes based on individual attention to students are provided here so that they can compete with the students of main stream of formal schools. With the help of these classes they can qualify their Secondary & Sr Secondary Exams & they can settle themselves in any career of their own choice. Patrachar Vidyalaya provides good opportunity to 9th and 11th failed students who want to complete their 10th Or 12th through CBSE board without wasting year.. Patrachar School has multiple centre’s in Rohini, Tilak nagar, South Delhi, Rani Bagh etc. Best patrachar school for girls candidates nearer to metro station or very approchable to busstop.Good staff to teach students. I love this institute very much. 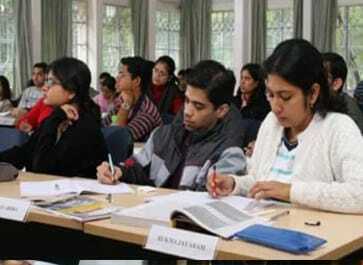 Best institute of cbse patrachar in delhi with very good, well experienced and helpful staff. Patrachar vidyalaya is the best place for bright future.